My Christmas decorations are securely collecting dust in the attic until November 29 when they are allowed to see daylight. Until that moment- we are celebrating Thanksgiving at The Hall’s! 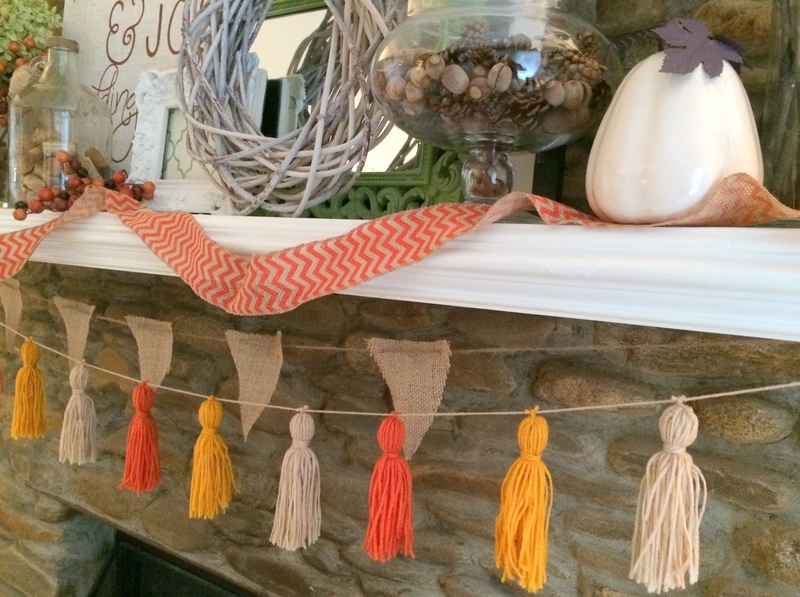 I LOVE the colors of fall- so warm and cozy and golden. This is the season that brings me the most joy – the air is perfect, the food is delicious and people are just happier. I love you, Fall. 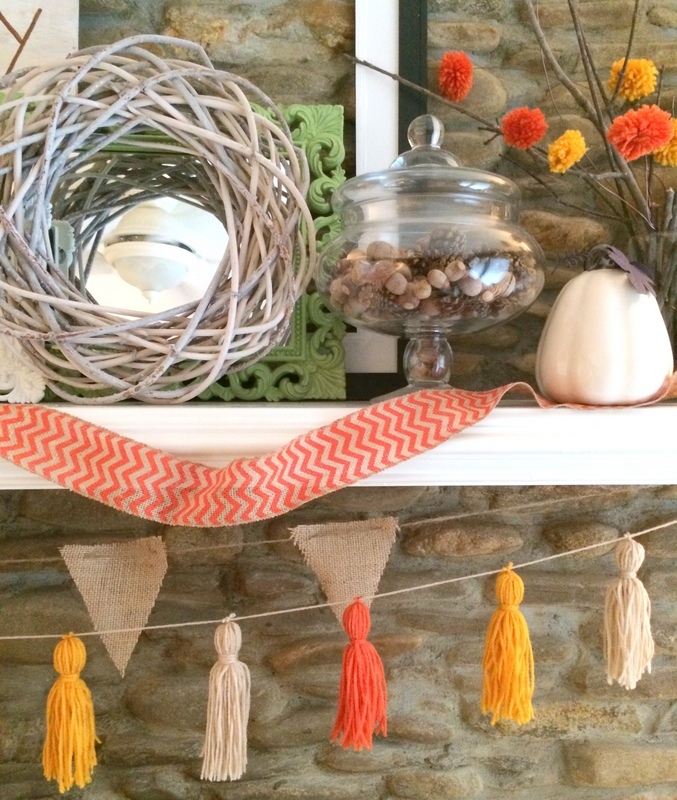 To bring the beauty of fall indoors I typically decorate with vases of acorns and pinecones, I tie burlap ribbons around the house and bring out as many white pumpkins as I can. 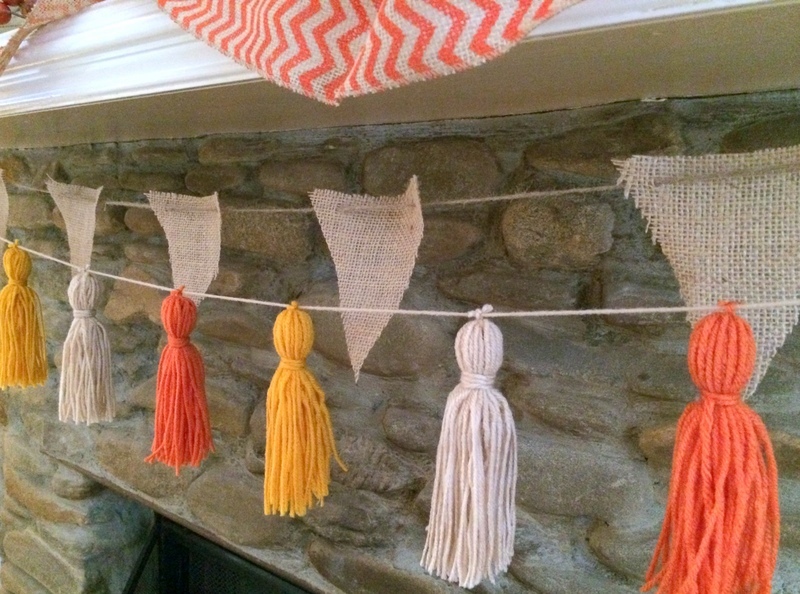 This year I got crafty and added a bit of whimsy to the mix- inspired by this type of garland, my obvious tassel obsession and some extra yarn I had from this DIY Pom Pom Tree project – I put into action an idea I have had all season. 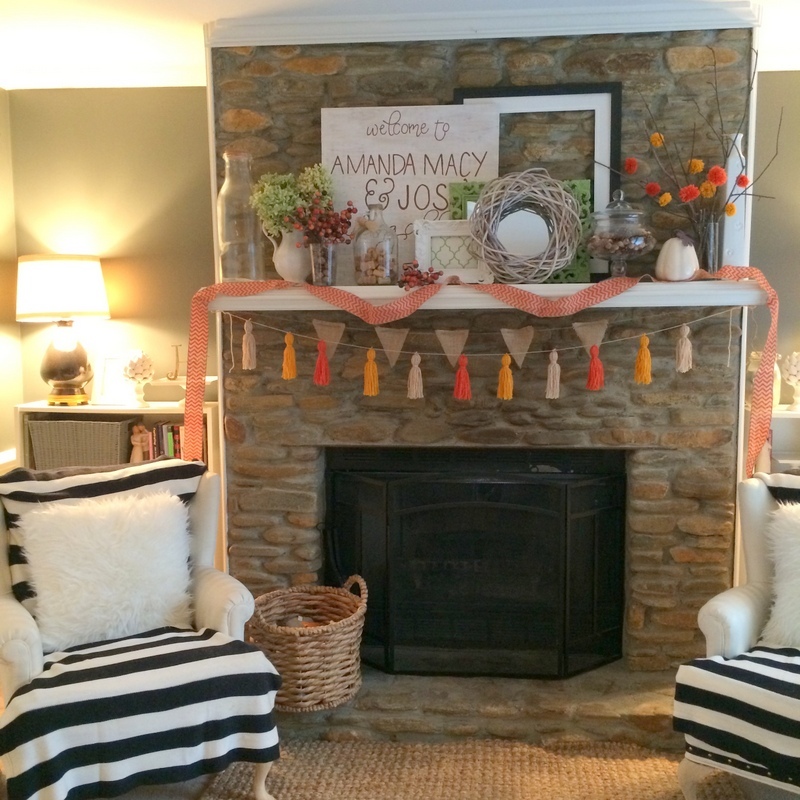 I think it looks cute and playful and I’d love to say that it was a quick and easy DIY project… but I’d be half lying. 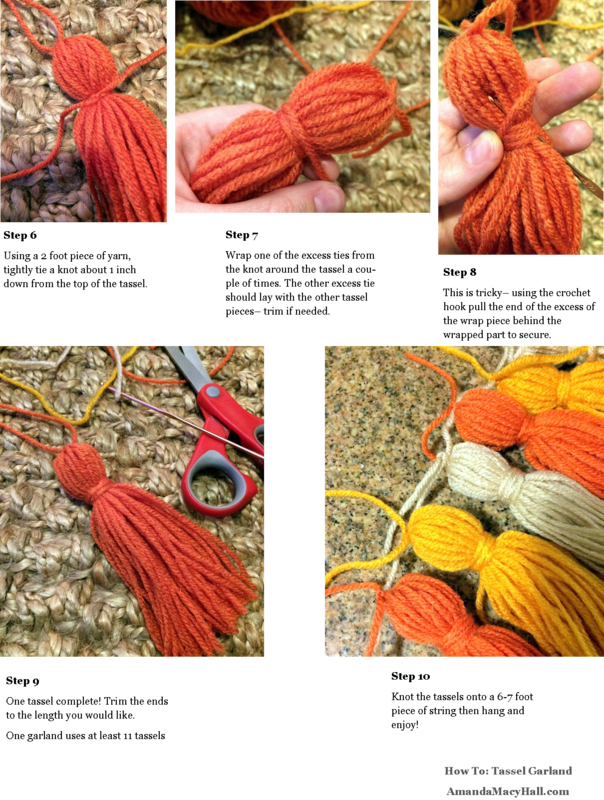 Here’s how to make your own! 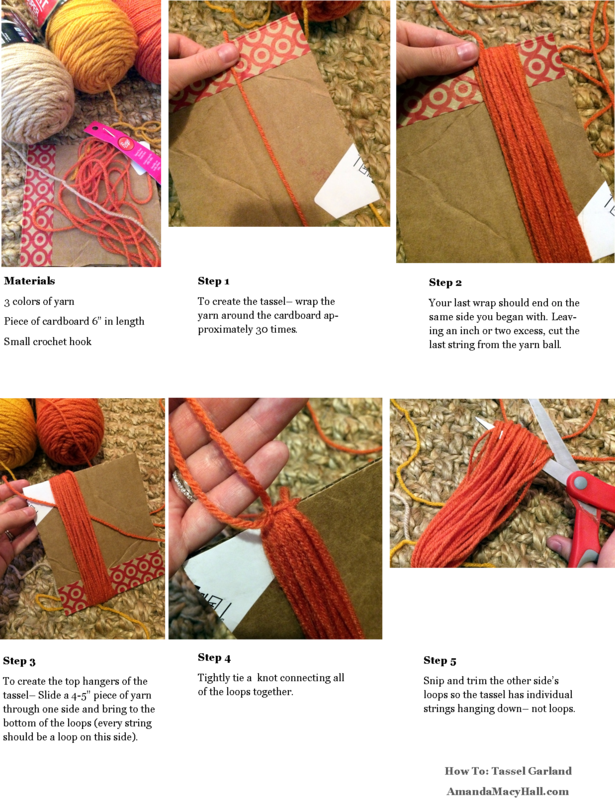 6″ piece of cardboard OR this amazing tassel maker! There you have it! 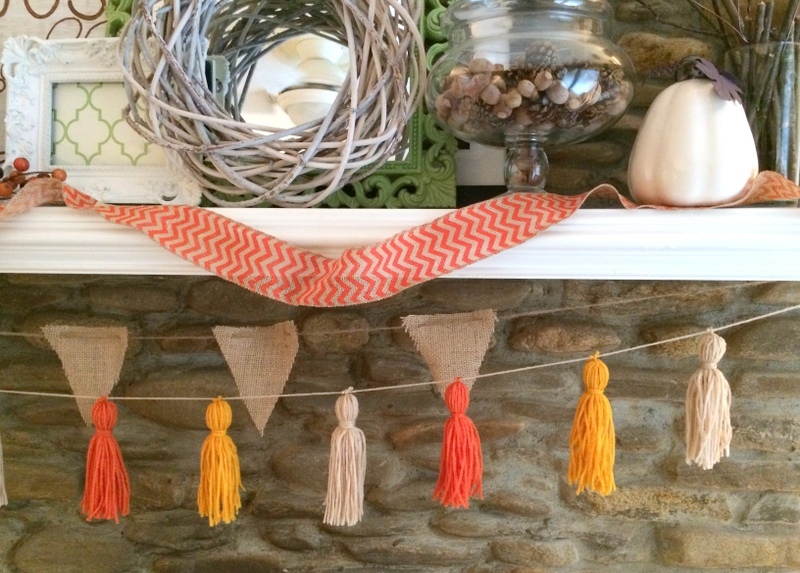 10 easy steps to your own tassel garland. Celebrate the current season – Happy Thanksgiving friends! !